A fun surprise! 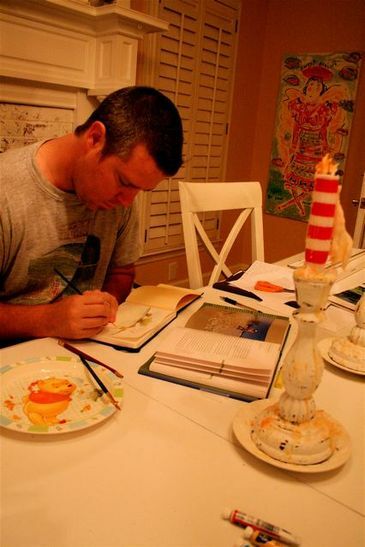 Last night, I walked into the dining room and Mike had all his watercolors out and he was painting.. yes painting! He is a great artist and I'm always wanting him to paint. 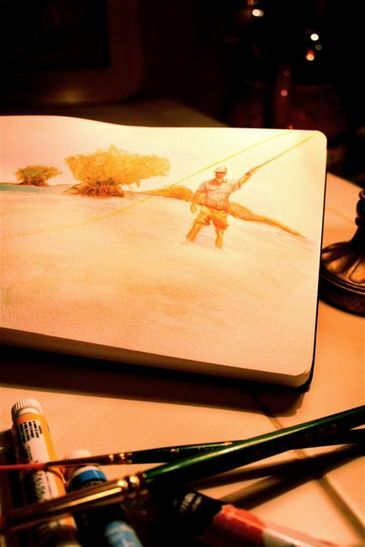 But his reply is more like this, "I'd rather spend my free time fly fishing than painting." So, the rivers call to him more than watercolors. But not last night. 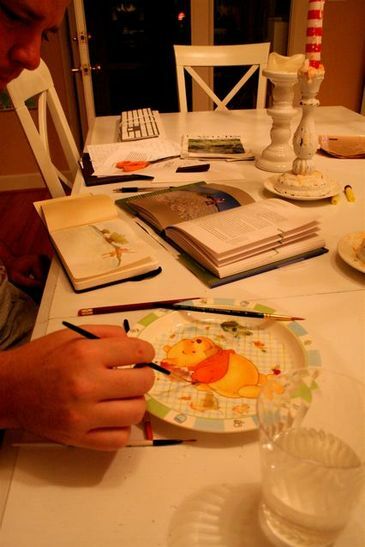 He was happily sitting at the table and creating. Ah, makes me smile just writing this! Can you guess what Mike is painting...can you see it??? 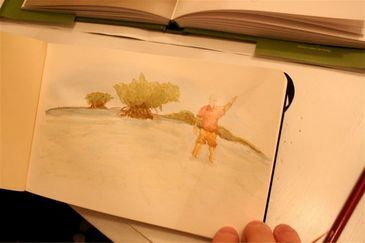 so beautiful.. amazing how he just sketches and paints and he used only three colors! 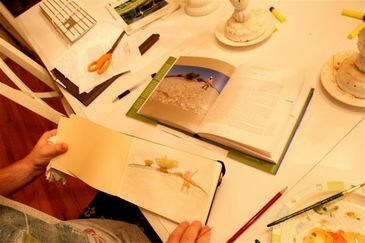 Watercolorists are in a whole different realm of art: steadiness, perfection, beauty, intricacy. Mike and I have these dreams. Mine is for both of us to paint side by side... hmm, maybe in a cottage in the English Lake District. Mike's dream is for us to fly fish side by side in the Madison River. Maybe one day these dreams will come true. 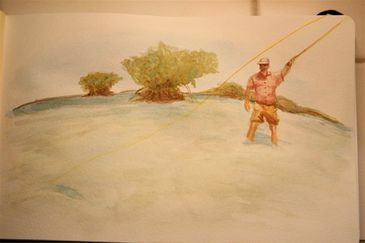 Love my artsy, fly fisherman, watercolorist husband. Cheers to quiet nights and watercolors.